Get OpenShift Container Platform v3.9 today! 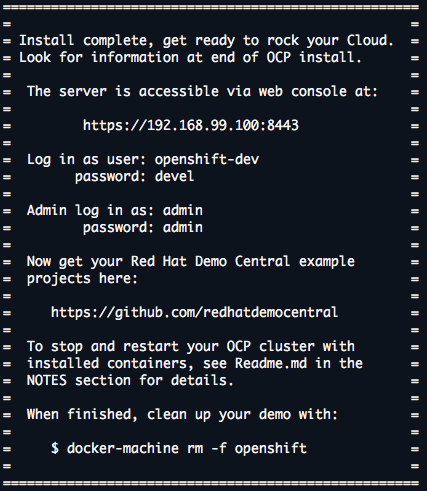 Since the release of the OpenShift Container Platform it has been my desire to provide a simple, fully configured and easy to use installation. This installation needs to have the Red Hat Middleware product streams installed (pre-configured container options) and all the extras like source to image and .Net Core containers. Since I last updated this project, OpenShift Container Platform 3.9 was released. As of today you can now install this new release in just minutes on your laptop, machine or where ever you might like if you have the time and inclination. It started when I showed you how to go from no cloud to fully cloud enabled with a container based application development platform in just over two minutes with OpenShift Container Platform 3.4. Next up we supported you with a newer version 3.5 with many new features you wanted to get your hands on. For version 3.6 you got a tech preview of the all new service catalog, a way to use templated containers. Then with OpenShift Container Platform 3.7 you got even more from your container application delivery platform. Now it's time to embrace the latest version of OpenShift Container Platform 3.9 and start enjoying the new features it brings. 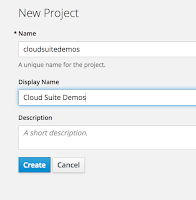 If you've been following my journey through the application development phases of storytelling, it's fairly obvious I'm a fan of cloud based solutions like OpenShift. This is how application development goes from local resources and moves on to remote resources, while developers continue to work locally in the same manner as always. Run 'init.sh' or 'init.bat', then sit back. 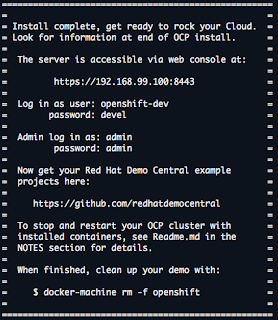 Follow displayed instructions to log in to your brand new OpenShift Container Platform! You need to download and unzip the project, then run the installation script, sit back until you see the output at the end showing you where to log in to your brand new OpenShift Container Platform. 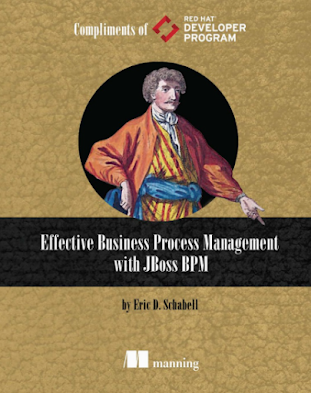 Figure 2: Some JBoss middleware container images. It checks automatically for the required dependencies, if missing a pointer is provided for downloading these requirements. This means no worries about finding out what's needed, just run the installation relax. Also note, that if this installation ran before, it's setup to always give a clean running installation by fixing anything that is left running or blocking a new installation. No intervention should be required by you. In figure 1, the installation started and container layers are being pulled for setup. Validation is shown in figure 2, where the IP address of the OpenShift Container Platform log in console is presented. 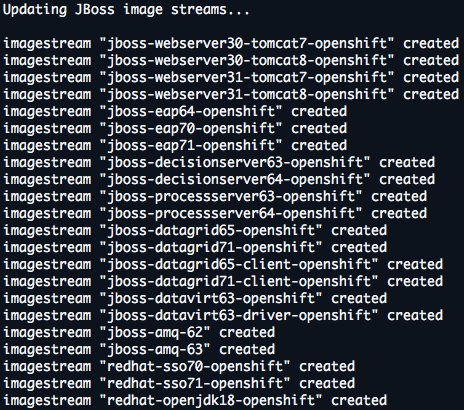 I make sure your OpenShift Container Platform has the latest greatest JBoss middleware streams loaded, a .NET stream is added and I also update the RHEL 7 streams. Now it's almost ready, it just needs to show how to log in. Figure 3: Final notes at end of installation. Figure 3 shows the address that was dynamically created (in my case it is showing https://192.168.99.100:8443), just paste it into a browser and log in with any of the given users. Also note the final command shown, it helps to completely clean up this demo. As I have updated the image streams, it takes some time for them to be pulled into OpenShift Container Platform and appear in your lists of available platforms. 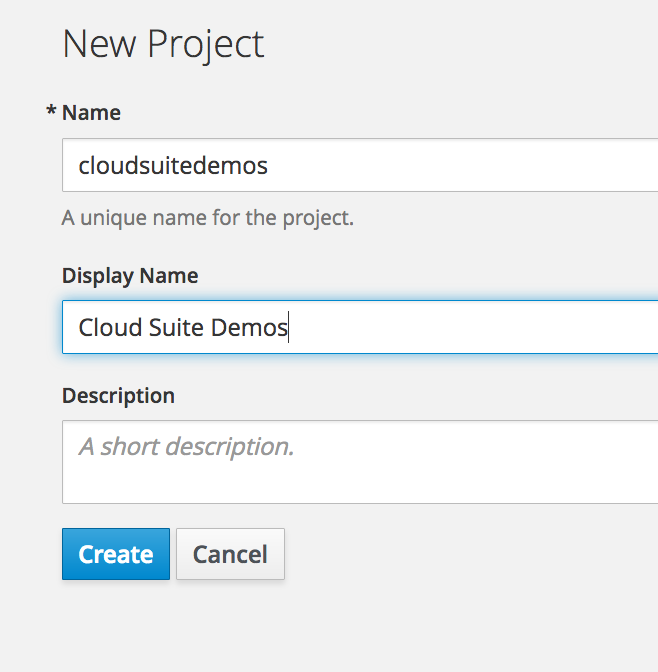 Log in with admin user and create a project by clicking on the New Project button. Fill in the form shown in figure 4 any way you like, but I choose to line it up as the project that's going to hold all the goodness you find in Red Hat Cloud demo projects. Once the form is submitted, an overview of the product templates appears for your projects that I installed above (remember, it might take a few minutes for them all to appear, so take a sip of coffee now as it is your only chance in this process). Figure 4. Fill in a new project form as desired. 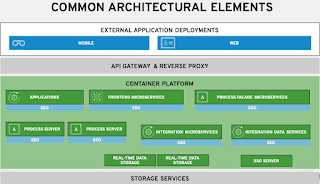 Start by using the catalog containing the JBoss middleware product templates to develop applications on the OpenShift Container Platform cloud. This concludes the installation of OpenShift Container Platform and you're ready to start containerized application development. 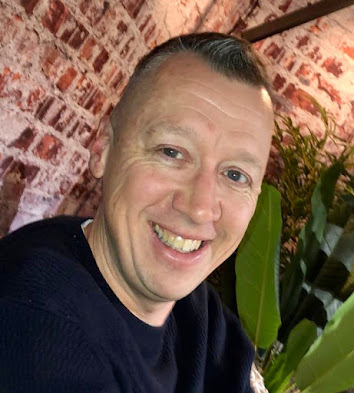 I assume you can find more information online if you're interested in getting started with the basics of container development on OpenShift Container Platform, so I won't go into that here. 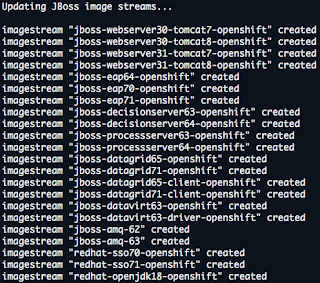 Looking for some deeper examples of running JBoss middleware on OpenShift Container Platform? Check out the examples collection at Red Hat Demo Central and for something really special, check out the AppDev in the Cloud free online workshop. Here's wishing you many happy days of containerized application development in the cloud!